There is no conclusive evidence to link radiations from cellphones or mobile phone towers with cancer as long as the set limit is adhered to, the Delhi Medical Association said. 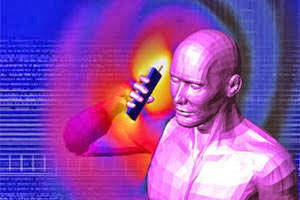 "There is no conclusive evidence to suggest a relationship between mobile phone radiations or towers and brain cancer as long as the set limits are adhered to. The radiations are too weak to be of any harm," DMA president Anil Agarwal said. A panel of specialists of DMA reviewed epidemological studies done by the World Health Organisation (WHO), Danish Cohort study, Interphone study conducted across thirteen countries and Hardwell study among others to establish that mobile phone radiations pose no risk of meningloma (type of brain tumours), he said. "Radiation emitted by the sun is thousand times stronger than ones emitted by a tower. Even the energy inside an oven in one second is multiple times stronger than the cell phone tower emissions. Cell phone photons do not have enough energy to cause a mutation in our DNA," Agarwal said. As per WHO, the specific absorption rate (SAR) is set at 1.6 W/kg, the threshold for cellular radiation to cause any damage. The emission levels of cellular frequency have been prescribed and are monitored by the WHO, he said. Studies conducted by the Tata Memorial Centre in India also suggest no proportional relationship between the number of brain cancer cases and mobile phone subscriptions in the country, the specialists present in the event said. India's current radiation exposure limit for mobile towers is 0.45 W/m2) which is much lesser than countries like USA, Canada and Japan (whose exposure limit is 9 W/m2). However, none of these studies have been conducted on children and pregnant women who may be prone to potential harm caused by cellular radiations. "Despite no relationship, people implanted with pacemakers, pregnant women and children must take precautionary measures," cardiologist Prem Aggarwal cautioned.